Product prices and availability are accurate as of 2019-04-14 01:38:04 EDT and are subject to change. Any price and availability information displayed on http://www.amazon.com/ at the time of purchase will apply to the purchase of this product. 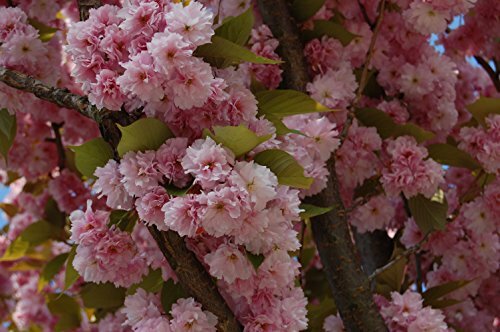 Prunus serrulata or Japanese Cherry also called Hill Cherry, Oriental Cherry or East Asian Cherry, is a species of cherry native to Japan, Koreaand China and is used for its spring cherry blossom displays and festivals. 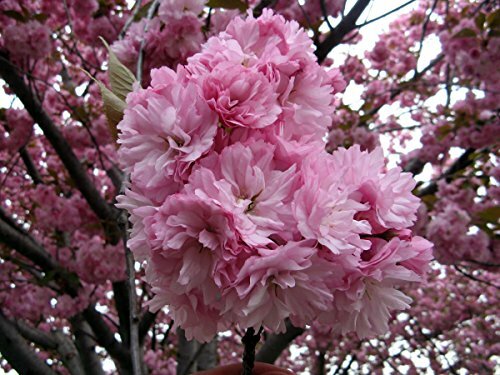 Prunus serrulata is a small deciduous tree with a short single trunk, with a dense crown reaching a height of 26-39 feet . The smooth bark is chestnut-brown, with prominent horizontal lenticels. The leaves are arranged alternately, simple, ovate-lanceolate, 5-13 cm long and 2.5-6.5 cm broad, with a short petiole and a serrate or doubly serrate margin.d of autumn, the green leaves turn yellow, red or crimson. The flowers are produced in racemose clusters of two to five. At the en together at nodes on short spurs in spring at the same time as the new leaves appear. they are white to pink, with five petals in the wild type tree. The fruit is a globose black drupe 8-10 mm diameter. 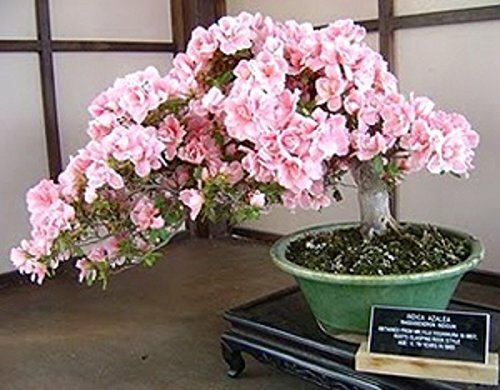 In 1912, Tokyo gave many such trees as a gift to the United States. 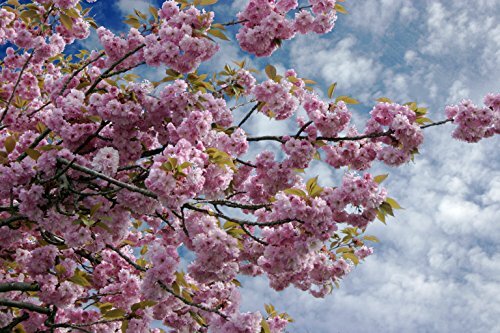 you can find many of these trees around the Jefferson memorial in Washington D.C. , where an annual Cherry Blossom Festival is held every year since 1935. 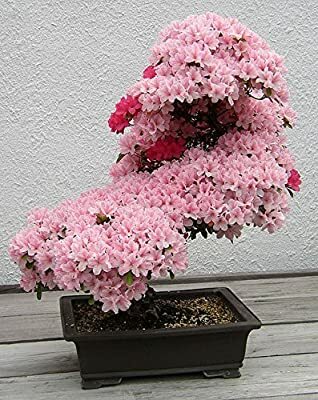 After World War II, many of the trees in Japan began to die so United States donated pieces of there trees to help save the population in Japan. Zone: 5 to 8 . Growth rate: Fast . Bloom Time: April . Sun: Full sun to part shade. Water: Medium. 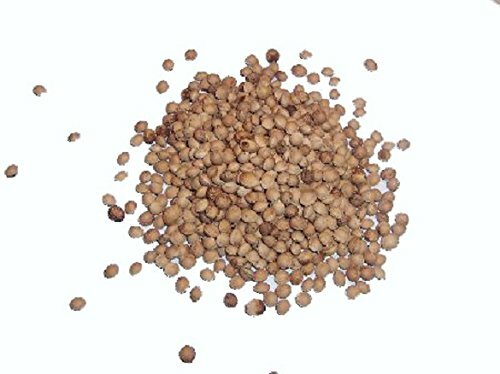 Germination tested and guaranteed Fresh seeds 5 seeds per pack Instruction include Grow this amazing plant in your home !